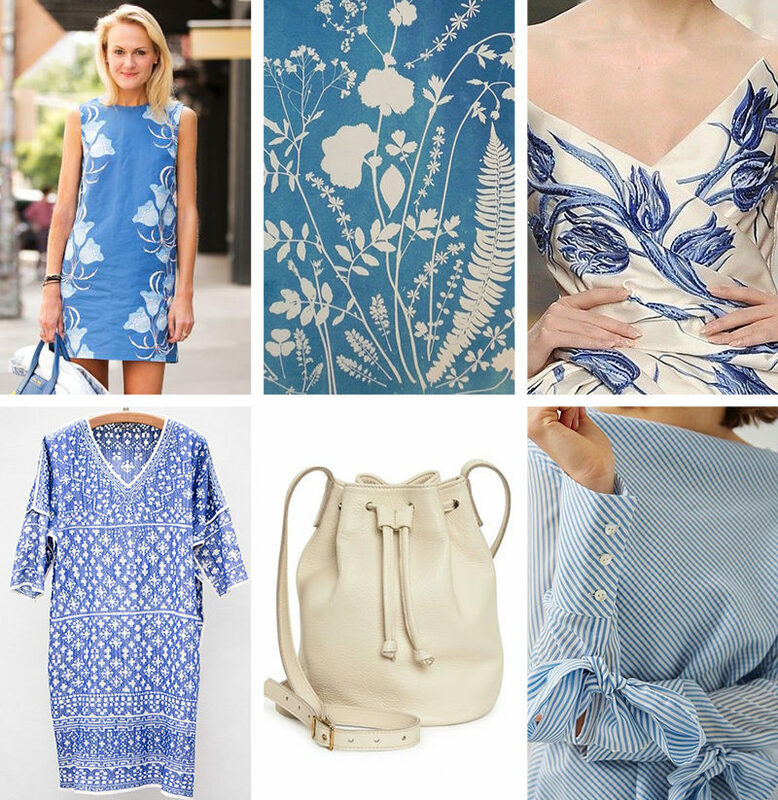 As it starts getting warmer, I find myself almost exclusively drawn to shades of blue mixed with ivory or white. It feels crisp and classic, and it’s also one of those color combinations that almost reads neutral. 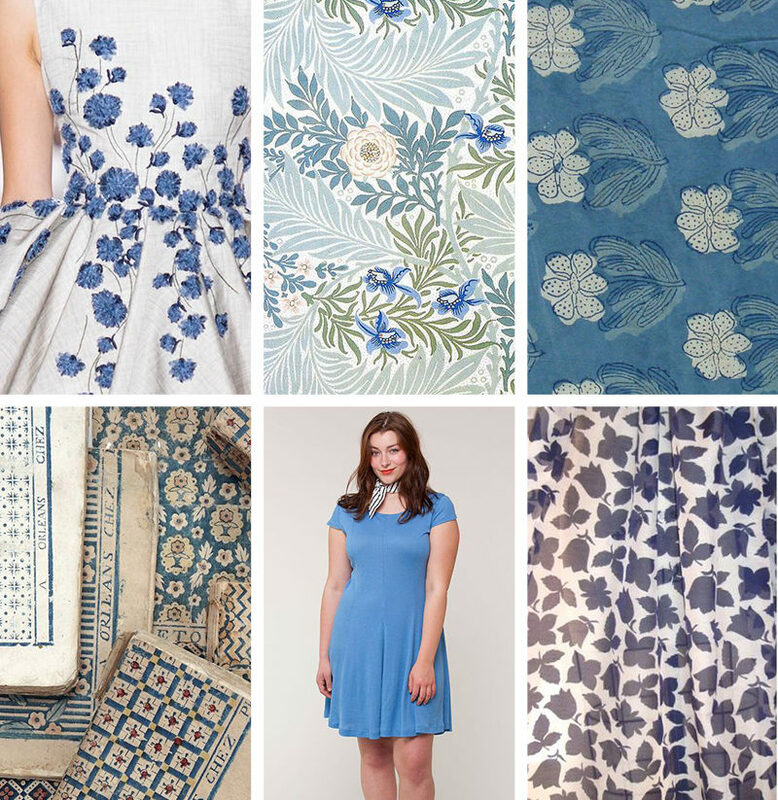 Here are a few images, fabrics, garments, and patterns that are inspiring me at the moment. 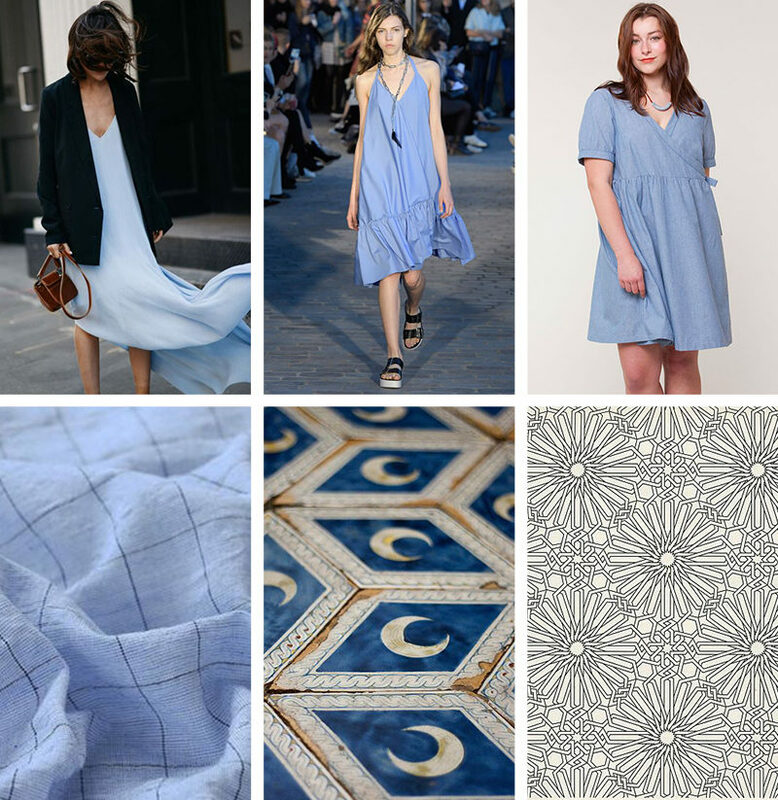 I just ordered some hopefully as lovely as it looked online light, tie-dyed embroidered blue denim yesterday thinking about how nice and cool this will look and feel in the hot days ahead :) I always love to see your inspiration boards Sarai! Hi love the sound of the denim you have order, can you tell me where you ordered it from and if they ship to UK ??? I love soft blues in the spring and also muted reds. I was just realizing the other day that everything I’ve made so far this season falls into this color palate—glad to see I’m not alone ? Something about these colors is just so soothing too. Now I love blue and white combination. I thought that it isn’t nice for brown-haired women. But in fact, I sewed a dress with blue and white vertical strips – so cute!